Tom Marchese has earned his second seven-figure score of 2014 after winning the latest $100,000 buy-in Aria Super High Roller. The 26-year-old topped a field of 22 entrants that included the likes of David Sands, Doug Polk and this month's Bluff Europe cover star, Philipp Gruissem. Just three players would make the money and according to Poker Telegraph, it was Andrew Robl who just missed out. Robl's K9 needed help against Brian Rast's KQ but a blank board sent him to the rail with nothing. 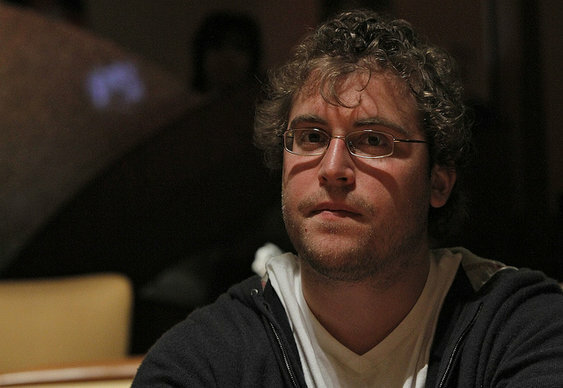 Rast's tournament ended shortly after, his As6s well behind Marchese's Ah10h on a 10d6d5s flop. Bricks on the turn and river changed nothing and sent Rast to cashier's cage $217,800 to the good. With over $600k already secured, Marchese joined battle with Cary Katz for the title. After almost an hour's heads up play Marchese sealed the deal when his AJ held against Katz's KQ. The win was Marchese's second great result at the Aria in less than three months. 'Kingofcards' finished third in the inaugural Aria High Roller in June and pocketed $1,465,451.